Fenda Audio (F&D) launches a new range of Earphones & Headphones which includes E220, E310, E320, E330, HW110, HW111 and EW201, EW202. This festive season, bring yourself the elegance of aesthetics and the power of sound with Fenda Audio. Keeping the festive spirit in mind and with changes in the industry and choice of customers, company takes this opportunity to leverage on the creative gifting options in sync with the latest technologies. The latest product(s), with innovative and stylish design lets you tune into your music and tune out of the real world in a simple and seamless manner. 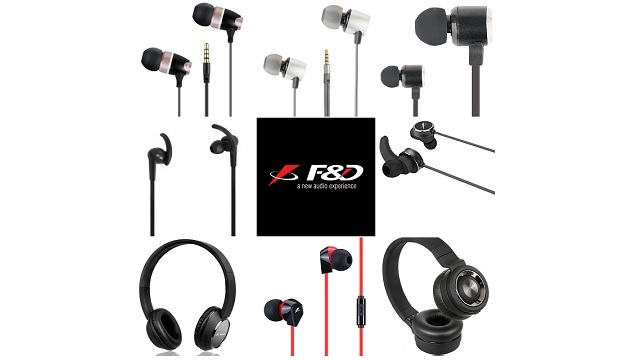 The new launches is available at all leading F&D authorized dealers & online. For those who wish to delve in their own moments of joy, these earphones are a boon. With true quality music these professional Stereo Earphones will surely elevate your experience with your Mobiles, Tablets and Laptops.